At Evolve Leadteam we believe by using the right skills at the right time, we can produce a more satisfying and productive working life. In collaboration with our clients we use our knowledge and experience of many leadership tools and models to design programmes which are inspiring, useful and sustainable. We also aim to make it fun. Shirley Wardell founded Evolve in 1995 and David Faraday founded Leadteam Ltd. in 1999; the companies merged on 2002. Shirley and David are supported by an experienced team of associates, with whom they have developed strong working partnerships over a number of years. 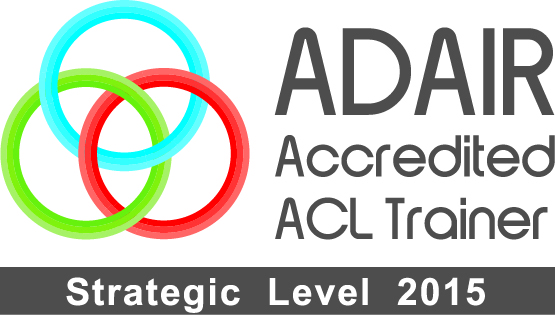 We employ trainers and facilitiators who are qualified to deliver Action Centred Leadership Training at Team, Operational and Strategic Level. We employ trainers and facilitators who are Thinking Environment qualified.